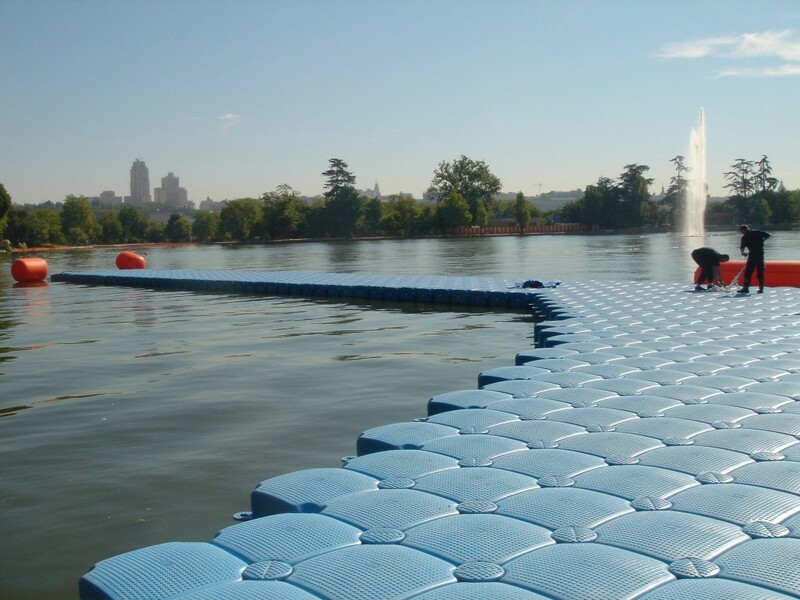 Our modular floating docks are particularly adapted to the competition of Triathlon. From Paris, London, Madrid, Bordeaux, Lorient, Singapore or Dubaï, the national and international federations of Triathlon continue to be satisfy by the CUBISYSTEM floating docks. Our modular floating pontoons system is used in a wide range of applications : pontoon of departure /exit of the athletes, the pontoon of access, floating bridge. CUBISYSTEM is at your disposal to optimize your stretch of water and organize your event of swimming in security. We are fifteen years old of experience in this domain. CUBISYSTEM modular floating docks can be purchased as permanent installations, or leased as temporary systems. All CUBISYSTEM products and services are certified and guaranteed. The entire CUBISYSTEM line is certified by BUREAU VERITAS.